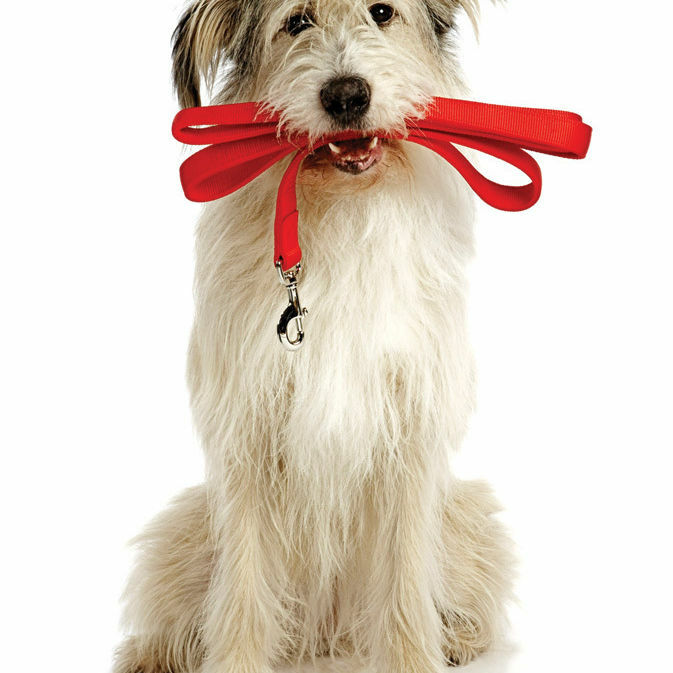 The 148 best veterinarians in the Seattle metropolitan region. How a game, an actor, and mentor-driven startup program TechStars helped alter Seattle tech entrepreneurship (and maybe celebrities) forever. Seattle pets eat better, play harder, go more places, and even have better career opportunities than their counterparts just about anywhere else. Drink your way through Seattle’s best bars. Are You Going to Comicon? The Washington State Convention Center hosts the ninth annual Emerald City Comicon, March 4–6. But don’t reach for the tights until you’ve taken our questionnaire. King County Superior Court charging document against 74-year-old James Fogle (the inspiration for Drugstore Cowboy, starring Matt Dillon) for his botched 2010 heist in Redmond. The Ultimate Fighting Championship—an 11-bout throwdown dubbed UFC Fight Night 24—is selling out at KeyArena. Since when did we become a fisticuffs-loving city? This month’s party guests: Jacob Appelbaum, Michelle Sexton, Phil Mocek, Chelsie Jorgensen, Cory Fitzner, and Rachel the Pig. In her memoir The Source of All Things, Tracy Ross lets us ride shotgun as she loses herself in the wilds of Alaska, Colorado, New Mexico, and Seattle, with a stint at Cornish College of the Arts. The latest avant-garde explosion at the Frye Art Museum is courtesy of Degenerate Art Ensemble, a Seattle-based performance art group that defies definition. My daughter’s vegetarianism must be stopped! 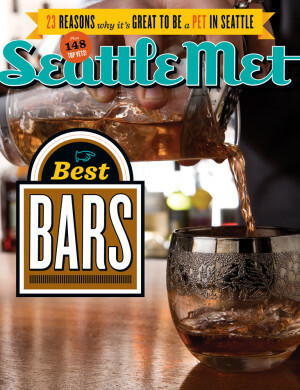 Another 15 favorite Seattle bars, plus the cocktail to try at each one. The 10 Seattle bars—superbly staffed, welcoming to all—that we think you need to visit right now. The next big thing in desserts is pie, and it’s here, and it’s hot, and here’s where to get it: A la Mode Pies, Dahlia Bakery, High 5 Pie, Macrina, Pie, Seattle Pie Company, and Shoofly Pie Co.
Matt Janke’s downtown restaurant Lecosho is a porkophile’s paradise—and much more. Seattle’s never been known for its bagels. But with Capitol Hill’s new Montreal-style bakery Eltana, that just might change. Jonathan Daou, inventor and owner of Park Here, drew over 50,000 sun-starved New Yorkers this winter with a 4,500 square-foot, indoor popup park. Would it work here? We ask Seattle Parks and Recreation spokesperson Dewey Potter. Just how bummed are we in Rain City? Sustainable Seattle aims to find out. In January the environmental nonprof launched the Happiness Survey, a means to gauge what it calls our Happiness Index. Mark Brubaker, owner of Northwest Window Maintenance, on how to keep your home and car windows squeaky clean. Brad Harlow let everyone else make the decisions while building his man cave. And he got exactly what he wanted. Are Seattle City Light’s metal streetlight poles a danger to you (and your dog)? Who knew? Matthew Inman, the creator of the web comic Oatmeal, doesn’t really like oatmeal. Traci Schlosser, personal shopper at University Village women’s store Anthropologie, reinvents her life and style. Jimmy Choo founder and creative head Tamara Mellon visits the downtown Nordstrom on March 2. Stroll SoDo as baseball fever builds and you’ll see hawkers unloading pink Mariners visors. Shop Ebbets Field Flannels, just a half a block north of Qwest Field, sells no such tchotchke. Mt. Baker holds the world record for snowfall. Weekend ski getaway, anyone? Behind the bar with six of our city’s master drink makers. The Hideout, The Hunt Club, Vito’s, and Rview top our First Hill tippling spots. Drink your way through downtown bars, including Zig Zag, Il Bistro, and Pink Door. 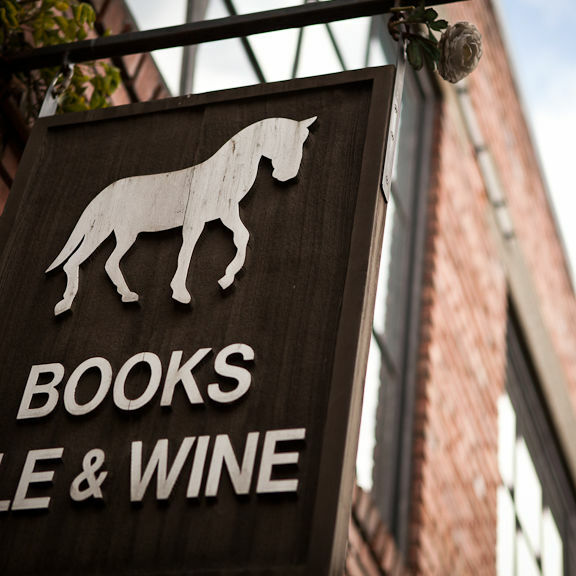 Spur, Virginia Inn, Bathtub Gin—just a few Belltown bars worth a swig. Capitol Hill lays claim to Sun Liquor, Liberty, Linda’s, and other notable Seattle bars. Drink your way through Bellevue’s best bars. When in Phinney Ridge, drink as Phinney Ridgers do: at Oliver’s Twist, The Park Pub, 74th Street Ale House, Prost Tavern, Sully’s Snowgoose Saloon, and In the Red Wine Bar and Café. Fremont and Wallingford are home to bar charmers like 35th Street Bistro, Quoin, Brouwer’s, and The Pacific Inn Pub. On this Ballard bar crawl, pit stops include Hazlewood, Ocho, The Noble Fir, Ballard Loft, and more. Drink your way through Queen Anne bars, starting at the aptly named Hilltop Ale House and finishing with a ten-ounce Tini Bigs cocktail.